It was one of those summer afternoons where the sun beats down and the air swells with heat. A few years ago I was settling into a new apartment, unpacking the expectations and hopes of a recent college graduate. It was the earnest love of a new experience that lead me to the city of Montreal and the promise of the unfamiliar that rooted me. My heart and mind were open and waiting. The summer heat quickly crept through the cracks in the doors and windows, overwhelming the small space with oppressive warmth. When the sweat began to bead on my forehead, I escaped outdoors for the hint of a breeze. During summer, the streets of Montreal are filled with colorful stoops and the fierce spirit of potted plants in bloom. While I thought the center of such a large city would be all brick and concrete, I was surprised by the amount of life, growing and thriving, to be found. Back indoors, cheeks red from my walk, my roommate treated me to a glass of homemade lemonade to cool me down. A neighbor had gifted her a bundle of dried lavender and she used the buds to infuse the latest batch. 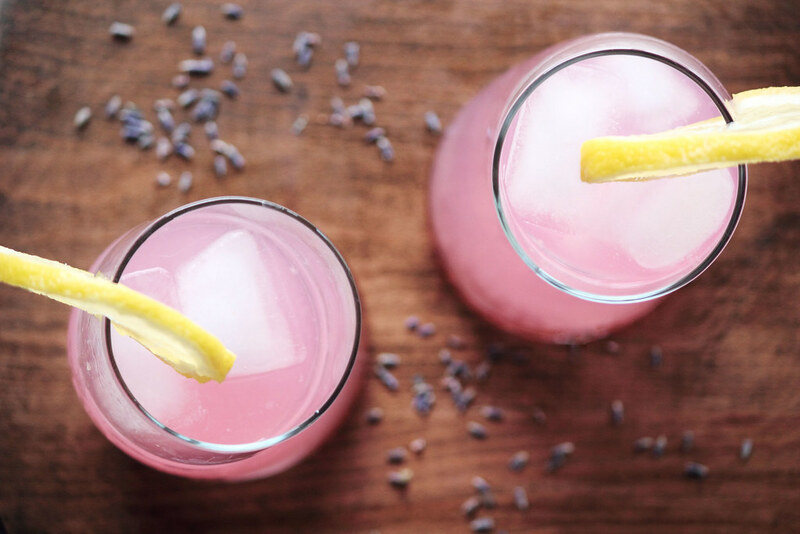 Lavender lemonade. I was hesitant at first. The scent of lavender reminds me of soap and summer meadows, not sweet refreshments. However, I was in the market for new experiences and, though small, this would be one of the first. After I took a sip of the pale drink, my opinion changed. 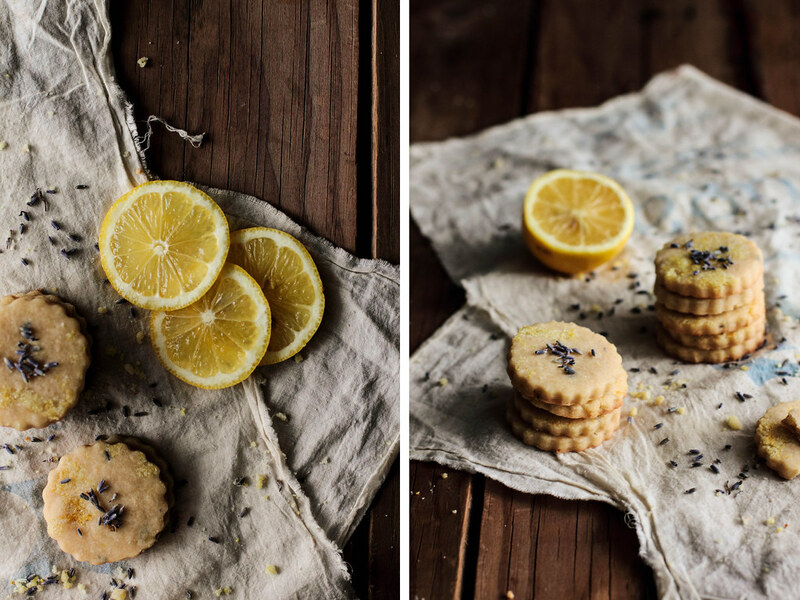 The subtle tones of lavender felt the perfect match for lemon's tart disposition. I finished the glass and wished for more. Though I have hundreds of memories from those first few months on my own, this one has gripped me closely. Perhaps it was the heat or simply the beginning of a new adventure, but that cold glass of lemonade remains one of the fondest. Since my first introduction to both flora and food, I have become smitten with the combination. I am often searching for new ways to combine herbs and floral scents with my favorite desserts. The key to baking with flowers or herbs is to keep it subtle—too much and it quickly becomes overpowering. Chocolate cupcakes infused with lavender buds and peaches cooked down with thyme are a couple of my recent favorites. 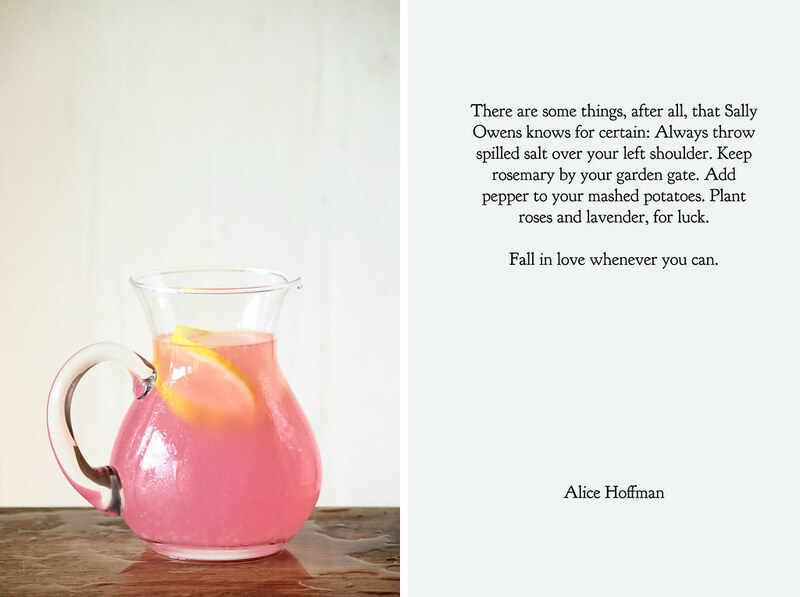 And, as always, recreating that memorable lavender lemonade. Until this point, I enjoyed buds and blossoms primarily for their bold colors, soft lines, and honeyed aromas, but it had not occurred to me just how delicate they could become in food. The subtle aromas, the muted tones, the calmness they brought to a flavor storm of complexity—it was beautiful. This Lavender Vanilla Bean Cake rests at the intersection between my love for sweet scents and sweet eats. The milk in the batter is infused with lavender, adding a delicate tone that is neither too perfumed nor overwhelming. Both floral individually, the flavor of lavender compliments the vanilla bean well, but together they create a combination that is gentle, yet surprising. Preheat oven to 350 degrees F (180 degrees C). Grease 9-inch cake pans and set aside. Using a mortar and pestle or spice grinder, crush the lavender to release the oils. In a small saucepan, heat the milk until just boiling. Stir in the lavender, cover and remove from heat. Allow it to steep for at least 30 minutes. Strain out lavender. In a large mixing bowl, cream together the butter and sugar until light and fluffy. Add the eggs one at a time, beating well after each addition. Beat in the vegetable oil and vanilla extract. Gradually add in the cake flour, baking powder, baking soda, and salt. Mix in the lavender infused milk, stirring until batter is uniform and smooth. In a large mixing bowl, beat the butter until creamy. Add the powdered sugar and beat to combine, scraping down the bowl if necessary. Mix in the vanilla bean paste, salt, and milk. If frosting is too soft, add more powdered sugar until it reaches a spreadable consistency. Likewise, if the frosting is too stiff, add a touch of milk or cream until it reaches a spreadable consistency. To assemble, place the cooled bottom cake layer on a serving platter. Spread a layer of buttercream on top before placing the second layer. Spread a thin layer of frosting along the top and edges. The sun finally feels like it is beginning to come out of hibernation, indulging in a few more precious moments with me each day. After spending a winter in England, I realized just how dependent I am on her warm rays. The cloudy English skies and brilliant fogs, while a novelty at first, grew to become oppressive. I soon felt as withered as the waning plant I kept in my windowsill; the plant turning a shade of brown as it slowly tossed its leaves to the floor. Each day the sun stayed hidden behind the clouds, my energy drained ever so slightly from my limbs, taking a small part of my spirit with it. The sun, I have discovered, is the cure to the simplest case of winter blues. As a respite from trudging through foot high snow drifts and scraping the frost off frozen windshields, the sun brought the feeling of spring the last few days. With temperatures above freezing for the first time in months, I shed my winter coat and walked around in a simple sweatshirt. Though it was still far to cold outside for such antics, I wanted to feel the warmth of the sun on my face, to absorb the glow deep into my skin, to replenish the energy a winter of bone chilling temperatures took away. The sun's rare gift of spring will quickly decline back into winter, but I feel recharged, ready to put back on my mittens and wrap a scarf back around my neck. With a feeling of spring in the air, I was taken back briefly to the flavors of last summer and a resplendent glass of my summer drink of choice—Lavender Lemonade. Even though it is too soon to dream of enjoying a glass while basking in the hot summer sun, I could not resist but bring the flavors together in a new form. Shortbread is a clean slate in terms of flavor. The buttery, sandy texture of shortbread, while lovely on its own, lends itself well to simple mix-ins. 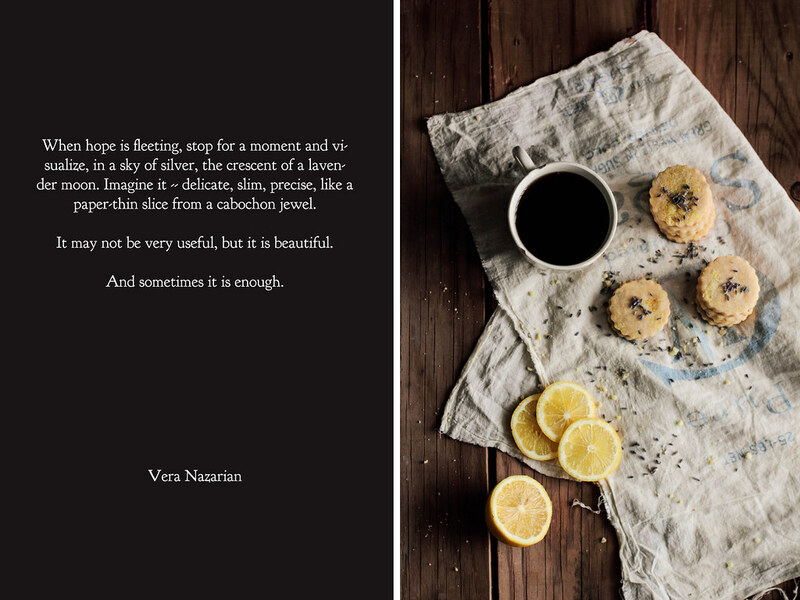 The zest of a couple lemons and the subtle scent of lavender brought a feeling of spring into my kitchen, the aroma hanging in the air long after the cookies emerged from the oven. 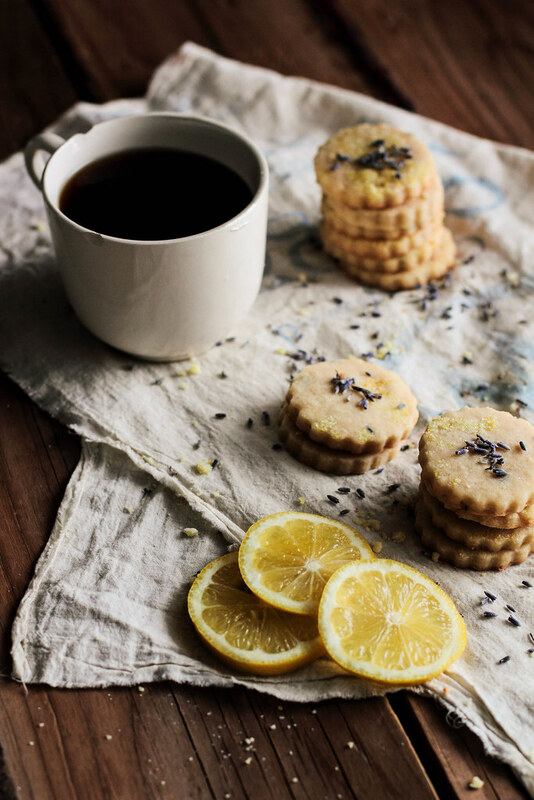 Lavender Lemon Shortbread brings a bright, refreshing flavor to a winter's afternoon. 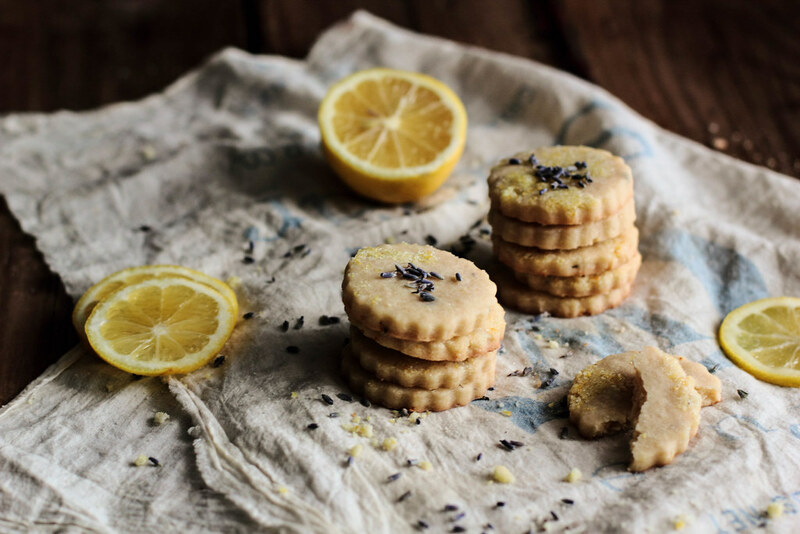 The classic sandy texture of shortbread meets lemon zest and lavender buds. The lemon is the predominant flavor while the lavender imparts a subtle tone to the overall profile. To add extra sweetness, the cookies are rolled with lemon-scented sugar before heading into the oven. 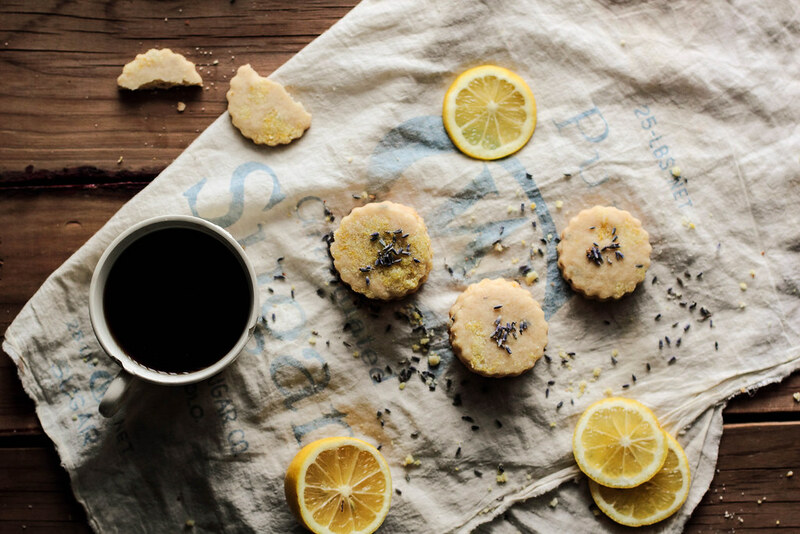 These shortbread cookies are best accompanied with a warm beverage and visions of spring. The heat of the summer sun feels like a light kiss in the cool morning air. The bright rays land lightly on my skin, feeling warm and rosy against the crisp breeze fading away from the rising sun. Morning light makes me want to lie in the dew-kissed grass, ignore the damp clothes sticking to my skin, close my eyes, and revel in the warmth of the beginning of a new day. I want to take in these small moments—indulge in their sweetness. Even though I'm given a new opportunity each morning to do so, I don't take it. Instead I spend my morning on the couch, behind glass, only noting the sun's presence from the glare across the television screen. I greet the sun in late morning as I walk to my car, not out of choice, but out of necessity. It leaves me wondering: where did I go wrong? I have dreams about the person I wish to become one day. I want to be the woman who keeps a clean house (and doesn't let the dishes pile up on the countertop). I want to be the woman who keeps wildflowers in a vase by the window. I want to be the woman who listens to jazz music instead of watching reality television. But mostly, I want to be the woman who reads on her porch in the morning sun with her bare toes digging into the cool grass. Maybe someday I will be all of these things... or maybe I will ever stay the same, not quite finding my way out of this groove. Until then, I may not enjoy the sweetness of the morning sun, but I can get sullied up in the afternoon heat and be glad I already am the woman who can make the perfect summer lemonade. 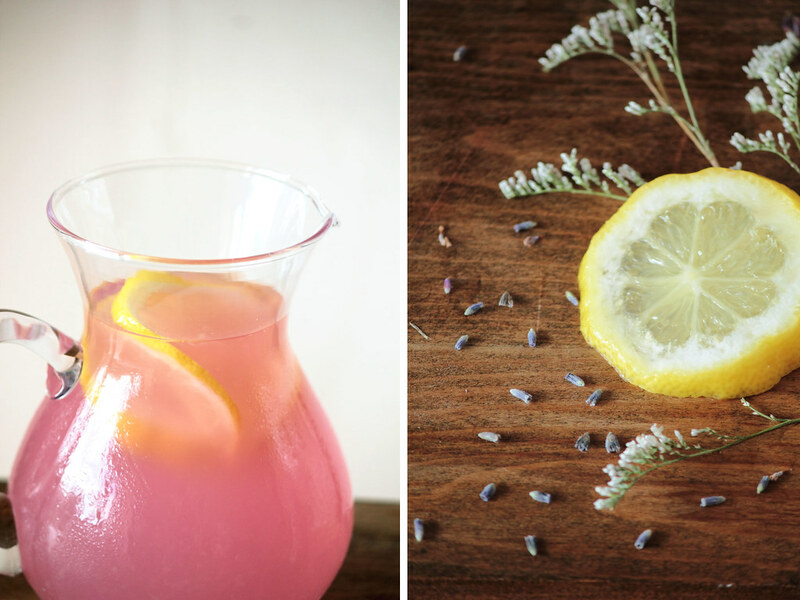 Lavender Lemonade is tart, tingly, and deliciously pink. The flavors of lemon and lavender come together so seamlessly, so effortlessly, that one sip will convince you they were meant to be together. 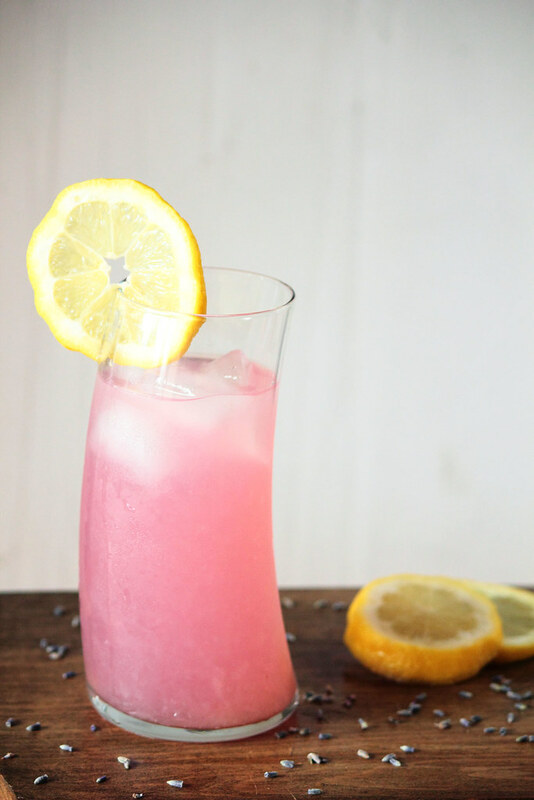 Fragrant and fruity, this lemonade has made a home in my heart. It will be certain to cool you down on any warm summer's day.